We have taken hundreds of fit, regular weekend walkers to the base camp. You could be wondering if you can finish the trek as well. While it is a tough trek, we can help you get there too. Looking after yourself is a crucial activity in this trek. It means walking slowly and not exhausting yourself. Over-exertion may cause altitude sickness. Looking after yourself also means eating well, staying hydrated, and managing your body temperature.There are two factors that make the trek difficult. First, the duration of the trek takes about 5-6 hours a day for at least 12 days. It is necessary to have endurance and stamina throughout the trek to cope with the long hours of trekking. Second, the extreme altitude will exert its effects on your body. By the time you reach the base camp, it is approximately 50% loss of the oxygen in the air. This condition contributes to the level of difficulty of the Everest Base Camp Trek. To finish the trek, you need to train hard and proceed with the trek slowly. The trek will take a steep path as the trek progresses. The view point from Kala Patthar is the highest point of the Everest Base Camp trek, standing at 5,554 metres. 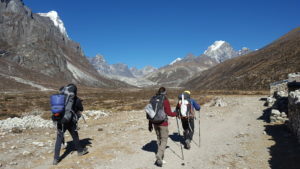 The best period for trekking to the base camp is during spring from February to late May, and during autumn from September to the end of November. The monsoon season is less accommodating as the wet condition of the path makes the trek dangerous during the summer months. Trekking to the Everest Base Camp during winter poses less problem than the summer months. The most notable disadvantage during this season is the extremely cold weather. If you want to trek during the winter months, you need to bring lots of warm clothes. 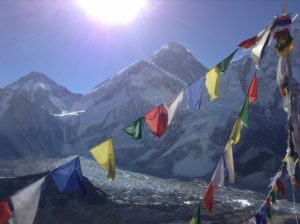 There are other important factors to consider before embarking on the trek to the Everest Base Camp. You need to think about whether you want to sleep in the base camp or not. The spring season will be the best time for those who want to sleep in base camp and witness the climbers preparing for the Mt. Everest expeditions. Another consideration is engaging in the culture of the people of Nepal. You should take note of the timing of festivals too and anything else you wish to do while you are in Nepal. For more information, you may contact us here. The trek to the Everest Base Camp often takes 12 days to complete on a 130km round-trip. 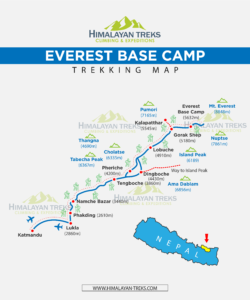 The initial stage of going to the Base Camp takes eight days and the second stage of going down from the Base Camp takes four days. Upon arrival at Kathmandu airport, a member of the Himalayan Treks team will be waiting for you. The member will take you to your hotel. 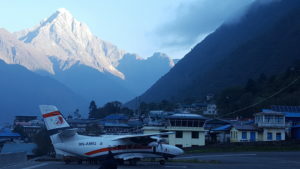 The Everest Base Camp trek starts with a panoramic flight to Lukla that includes majestic views of the Himalaya range. The trek will begin from the Dudh Koshi valley towards Monjo. After Phakding, we will follow and cross the river several times over high suspension bridges. After Monjo, we will enter the Sagarmatha National Park, a UNESCO Heritage site. 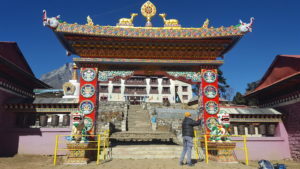 On this day we will see stupas, mani walls, and prayer wheels along the way. 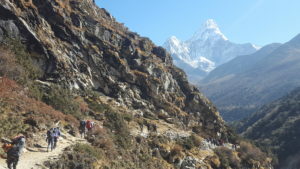 Once we have entered the Sagarmatha National Park, the trail becomes a bit steep all the way to Namche Bazar, the Sherpa capital of the Khumbu region, with its bustling market. In Namche, you have a chance to find anything that you may have forgotten, like finding a bank or pharmacy. We may even catch our first glimpse of Mt Everest from here if the sky is clear. The acclimatisation process starts at this day while we are in Namche. 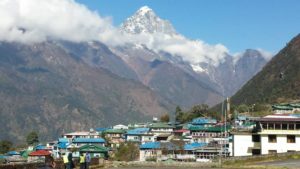 We will trek up to the Everest View Hotel (at 3,880m) in the morning to help acclimatise and also enjoy the fabulous mountains views of Ama Dablam. We will have the first (or second) glimpse of Mt Everest. Afterwards, we will come back to Namche for lunch. 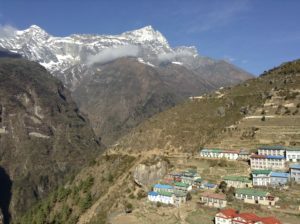 You should remember again that Namche is the last piece of modern civilization in this trek. After Namche, we will continue following the valley above the Dudh Koshi. We will witness awe-inspiring views of Mt Everest, Lhotse, Nuptse, and Ama Dablam. The trail goes gradually downwards until we spot a high suspension bridge. We will cross the bridge and have lunch at the village of Phunke Tenga. 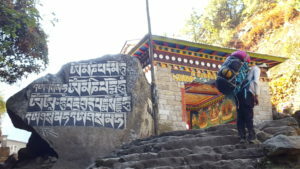 After the lunch break at Phunke Tenga, there is a steep climb up to Tengboche. 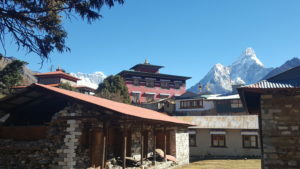 Tengboche holds the Tengboche monastery, one of the most important monasteries of Nepal and one of the highest monasteries in the world. 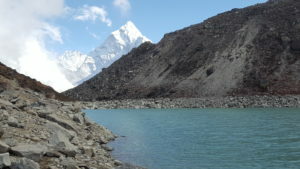 It lays beneath the impressive backdrop of Everest (1,848m) and Ama Dablam (6,856m). The best time to visit the Tengboche Monastery is during the Mani Rimdu festival, a yearly celebration taking place between the middle of October and November. This festival is the most important festivals in the region. It focuses on the events of empowerment and sacred ceremonies involving masked dances by the monks. The people of the Sherpa and Tibetan communities gather to celebrate the last three days of the festival, which are open to the public. Himalayan Treks organises an Everest Base Camp trek around the Mani Rimdu festival. If you wish to have more information about this festival, follow this link Mani Rimdu festival or contact us here. From Tengboche, the trail continues through the forest. We will cross the Imja Khola via another high suspension bridge. We get to enjoy the fabulous views of Ama Dablam while crossing the bridge. Then, the trail goes up via the village of Pangboche and continues until the Himalayan Rescue Association (HRA) aid post at Pheriche. On this acclimatisation day, we will hike to Tshola lake. The short trek will take us to the ridge over Dingboche, where we’ll witness the Imja Valley spread below and the south face of Lhotse. Today, we start by trekking gentle until we reach Thukla where we’ll stop for lunch. After lunch we continue the walk up the steep hill to Thukla pass, where we’ll come across the Sherpa memorials. There are breath-taking views from here. Afterwards, the trail starts steeply up towards the glacier moraine. Then, it levels out and after a little while the trail eventually leads to the village of Lobuche. 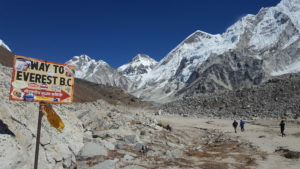 The trail now follows along the Khumbu Glacier, providing outstanding panoramic views of the nearby Himalayan peaks. Then, we continue the trek until we reach Everest Base Camp. Lunch will be served at Gorak Shep. We’ll set off very early on this day to reach the viewpoint of Kala Pattar (‘black rock’). The climb up should take around 2-3 hours and can be hard work towards the top. However, the effort is rewarded by the astonishing view of Mt. Everest, Lhotse, Nuptse, Pumori and the Khumbu Icefall. Undoubtedly, this is one of the most spectacular mountains views you will ever see. After a little for rest and food, we’ll commence the descent back to Dingboche. We’ll follow the river again for some time. Then, we will retrace our steps back to Tengboche through the rhododendron and birch woods. This will take us approximately 3 hours. We’ll walk down to the same lunch spot than on the way up just before crossing the suspension bridge over the Dudh Koshi. Then, we start a steep ascent back up the other side of the valley and return to Namche. At Lukla, there is usually a farewell party for guides and porters to celebrate another successful trek. We will have an early breakfast on this day. Afterwards, we will be headed for Lukla airstrip for our return flight to Kathmandu. Free time to explore the vibrant city of Kathmandu. Some recommendations are to visit the temples of Swayambhunath (‘Monkey Temple’), Pashupatinath, Bouddha stupa, the Durbar Square of Kathamdu and districts of Bhaktapur and Patan to witness the rebuilding. Contact us here if you need help with organising the visits to some of the sites. Your Everest Base Camp Trek is over and it’s time to start planning your next adventure. A member of the Himalayan Treks will come say farewell and send you off to the Kathmandu airport.